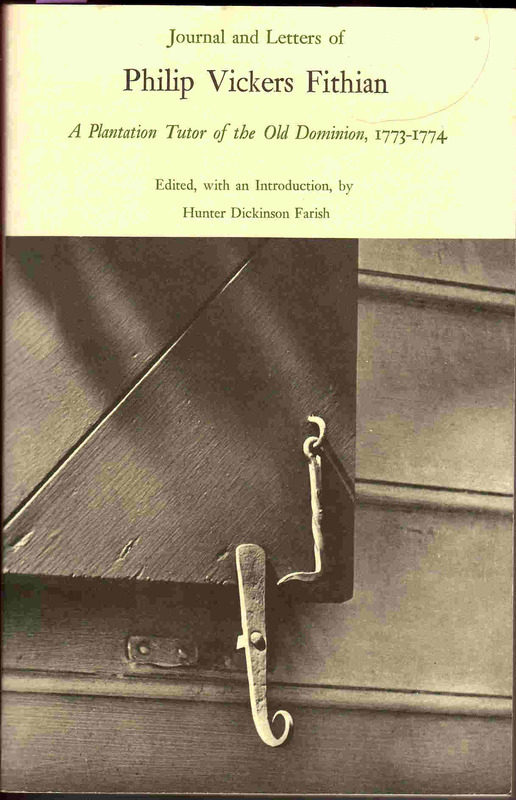 Farish, Hunter Dickinson (edited, with an Introduction, by...). THE JOURNAL OF PHILIP VICKERS FITHIAN: A PLANTATION TUTOR OF THE OLD DOMINION, 1773-1774. Colonial Williamsburg, Incorporated, 1945. A reprint of the original 1900 edition, with substantial additional material., NF/VG. Some chipping, small tears and creases to dust jacket, which is in mylar protector. Book itself is bright & tight, with only minor wear to bottoms of boards. Bright gilt decoration & lettering on black cloth-covered boards. 6.5 x 10.5. Printed on fine, heavy stock with ragged edges. A handsome, beautifully presented book, one of the Williamsburg Restoration Historical Studies. Illustrated with plates, notes, appendices, index, 323 pp. Fisher, Sydney George. PENNSYLVANIA, COLONY AND COMMONWEALTH. Henry T. Coates and Company, 1897., VG. Covers slightly darkened, but showing almost no wear. A very nice copy. Dark read boards with gilt lettering and gilt top edge of pages. A classic history, covering such topics as: William Penn, Quakers and Indians, Indian Revenge, Braddock's Defeat, Pontiac's Conspiracy, Revolutionary War, Whiskey Rebellion, Hot-Water Rebellion, Civil War, Philadelphia. Index, 442 pp. 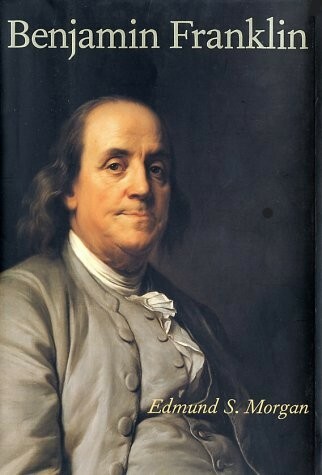 [Franklin] Ronald Clark, BENJAMIN FRANKLIN: A Biography. NEW copy. Hardcover with dust jacket. Castle Books, 530 pages. ~~~ "This fully documented account of the 'first American' gives a detailed and lively picture of the writer who invented the lightning conductor; the politician who spent years as emissary in London trying to prevent the American War of Independence; the statesman who, when war came, served as the United States representative in Paris, intriguing for French aid and American victory." [Franklin] Edmund S. Morgan, BENJAMIN FRANKLIN. NEW copy. Hardcover with dust jacket. Yale University Press, 339 pages. 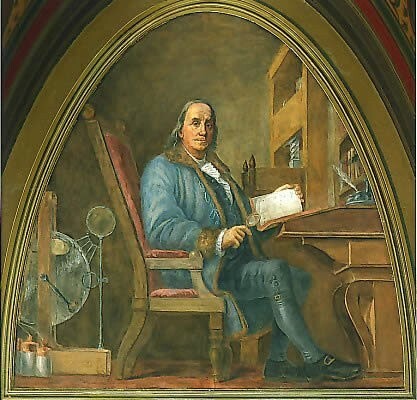 ~~~ "The greatest statesman of his age, Benjamin Franklin was also a pioneering scientist, a successful author, the first American postmaster general, a printer, a bon vivant. In addition, he was a man of vast contradictions. This bestselling biography by one of our greatest historians offers a compact and provocative new portrait of America's most extraordinary patriot." 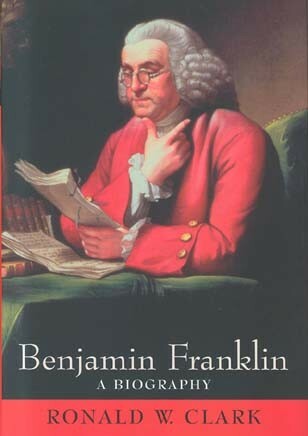 [Franklin] Mark Skousen (compiled & edited by), THE COMPLEATED AUTOBIOGRAPHY of BENJAMIN FRANKLIN. NF/NF. Bottom corners slightly bumped, otherwise as new. (Washington, DC: Regnery Publishing, 2006). Color plates, extensive notes with sources, chronology, cast of characters, index, 484 pages. 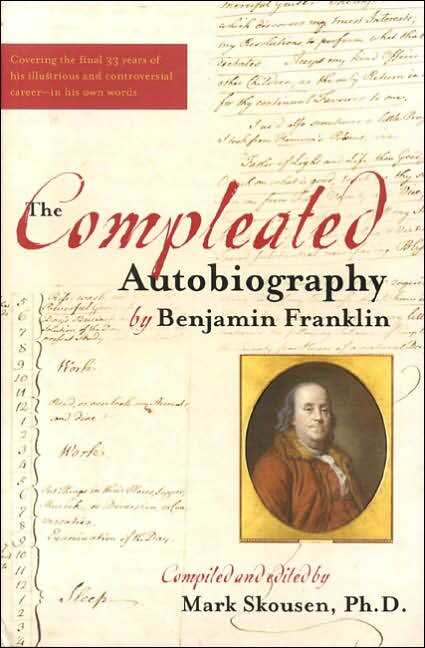 ~~~ Benjamin Franklin's celebrated Autobiography, published after his death, is one of the greatest autobiographies of all time... but it was incomplete. Franklin ended his life's story in 1757, when he was only fifty-one. He lived another thirty-three full, eventful, and dramatic years, some of the most dramatic years in American history, years in which Franklin was America's advocate in London, represented Pennsylvania in the Continental Congress, and was America's wartime ambassador to France. During these years Franklin also helped write our nation's Constitution and planned an American Empire that would displace the British Empire. ~~~ Franklin is one of the most fascinating of the Founding Fathers-a polymath like Jefferson, a practical statesman like Washington, and a cynic and wit beyond parallel. Now, at last, in The Compleated Autobiography by Benjamin Franklin, we finally get the rest of the story, in Franklin's own words. ~~~ Faithfully compiled and edited from Franklin's papers by Dr. Mark Skousen- Franklin's descendant, acting as his devoted secretary-this is the closest we will ever get to Franklin sitting down in his study in Philadelphia, dipping quill into ink, and finishing his autobiography. ~~~ Currently in print at $27.95. Gilje, Apul A. & William Pencak, NEW YORK IN THE AGE OF THE CONSTITUTION, 1775-1800. New York Historical Society, 1992. First Edition. NEW. Hardcover in dust jacket. Seven essays, each with notes. Overall index. 203 pages. "These studies focus on the ways in which the political events associated with the adoption of the Constitution affected the lives of New Yorkers. 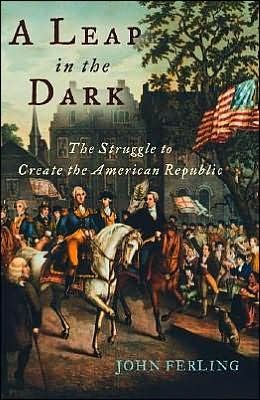 Among the groups of citizens studies are the blacks, artisans, the Antifederalists, upstate Now Yorkers, and ordinary people concerned with the local issues of the day." 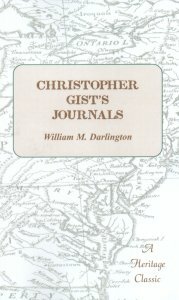 [Gist] William M. Darlington (ed), CHRISTOPHER GIST'S JOURNALS WITH HISTORICAL, GEOGRAPHICAL AND ETHNOLOGICAL NOTES AND BIOGRAPHIES. . NEW copy, trade PAPERBACK. (Westminster, MD: Heritage Books, 2006). Reprint of the original 1893 edition. Index, 296 pages. ~~~ This highly desirable reprint includes not just one, but many such accounts. Between 1750 and 1753 Christopher Gist, the Agent of the Ohio Company of Virginia, explored the greater portion of the region now included within the states of Ohio, Kentucky and West Virginia, and parts of western Maryland and southwestern Pennsylvania. These explorations were the earliest made so far west for the single object of examining the country, and they are the first of which a regular journal was kept. 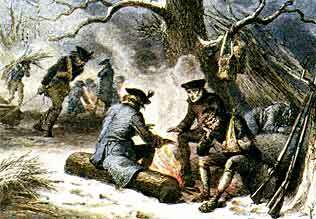 Gist is often remembered for saving George Washington from freezing to death in the Allegheny River as they returned from delivering a message to the commandant of the French forts in the Ohio country during the winter of 1753. These remarkable journals contain descriptions of lands, friendly and hostile Indians, Indian customs, French settlements and forts, English settlements, and interesting events that occurred on the trail. Additionally, this book contains biographical sketches of Gist and many interpreters and traders, such as Andrew Montour and the Montour family, George Croghan, Thomas Cresap, the Indian Guyasuta, General James Grant, Conrad Weiser, and others. Historical documents, correspondence, and maps supplement this important work. Of special interest is Robert Orme�s letter to Gov. Dinwiddie, describing the horror of Braddock�s Defeat. Other information relates to the Treaty of Lancaster, the Ohio Company, the Walpole Grant, Wm. Trent & Co., Pownall�s Account of the Lead Plate, and Letters and Speeches to Indians. 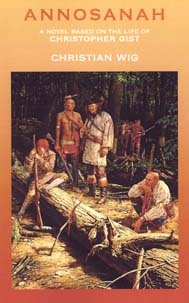 [Gist] Christian Wig, ANNOSANAH: A Novel Based on the Life of Christopher Gist. . NEW copy, trade PAPERBACK. (Westminster, MD: Heritage Books, 2006). 280 pages. ~~~ Pioneer, fur trader, and frontier diplomat, Christopher Gist, the first Colonial explorer of the Ohio territory, is also Annosanah - speaker of true words. In spite of his Wyandot title, he knows he must deceive the very Indians who have named him. In the guise of an emissary inviting the Ohio tribes to a conference, he searches the Ohio Valley for land best suited for white settlement. 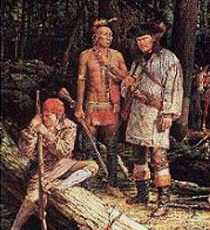 On this first journey in 1750 for the Ohio Company, he seeks to replace his lost inheritance through land speculation, thus setting the stage for the eventual displacement of these Indian people. 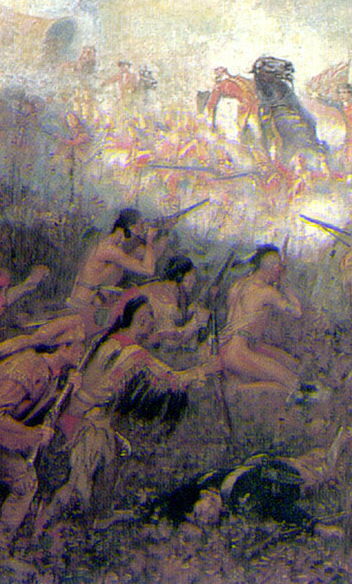 In the next decade France and England fight the last of the French and Indian Wars. A willing participant, Gist sees the destruction of his home, a stormy relationship with an arrogant young George Washington whose life he twice saves, a fiasco at Fort Necessity, and the annihilation of General Braddock's Redcoats. But this life of adversity only prepares him for the most challenging task any frontiersman could face: liaison between two peoples as different as the worlds from which they come. [Hamilton] Ron Chernow, ALEXANDER HAMILTON. NEW copy. Hardcover with dust jacket. Penguin Group, 2004. 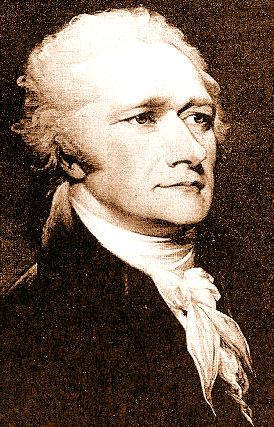 "Alexander Hamilton was arguably the most important figure in American history who never attained the presidency, but he had a far more lasting impact than many who did. An illegitimate, largely self-taught orphan from the Caribbean, Hamilton rose with stunning speed to become George Washington's aide-de-camp, a battlefield hero, a member of the Constitutional Convention, the leading author of The Federalist Papers, and head of the Federalist party. As the first treasury secretary, he forged America's tax and budget systems, customs service, coast guard, and central bank. 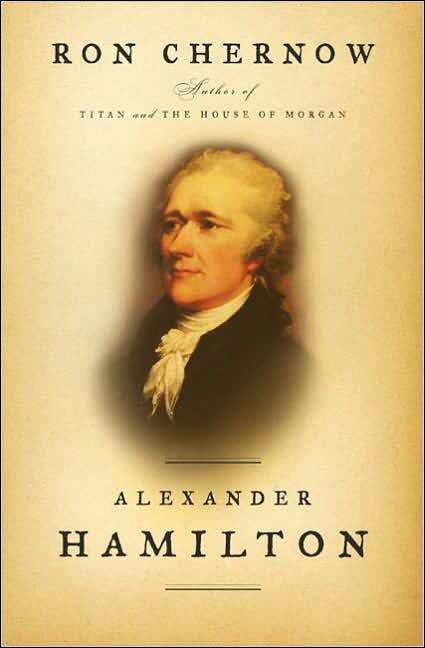 Chernow offers the whole sweep of Hamilton's turbulent life: his exotic, brutal upbringing; his brilliant military, legal, and financial exploits; his titanic feuds with Jefferson, Madison, Adams, and Monroe; his shocking illicit romances; his enlightened abolitionism; and his famous death in a duel with Aaron Burr in July 1804. Throughout, Chernow blends Hamilton's public and private selves to present a fully rounded portrait of this handsome, witty, controversial genius and his poignant relations with his wife, Eliza, and their eight children. Hamilton's countless exploits never cramped his prolific literary labors. Chernow brings to light nearly fifty previously undiscovered essays as he explores Hamilton's fiery journalism, his youthful poetry, his magisterial state papers, and his revealing missives to colleagues and friends. Moreover, he conjures up portraits of Hamilton's celebrated peers, Washington, Adams, Jefferson, Madison, Monroe, and Burr with all their shortcomings as well as their oft-sung triumphs." Hamilton, Dr. Alexander, GENTLEMAN'S PROGRESS: THE ITINERARIUM OF DR. ALEXANDER HAMILTON, 1744, edited with an introduction by Carl Bridenbaugh.. NEW copy. In green boards without dust jacket, as issued. Introduction, notes, index, 300 pp. 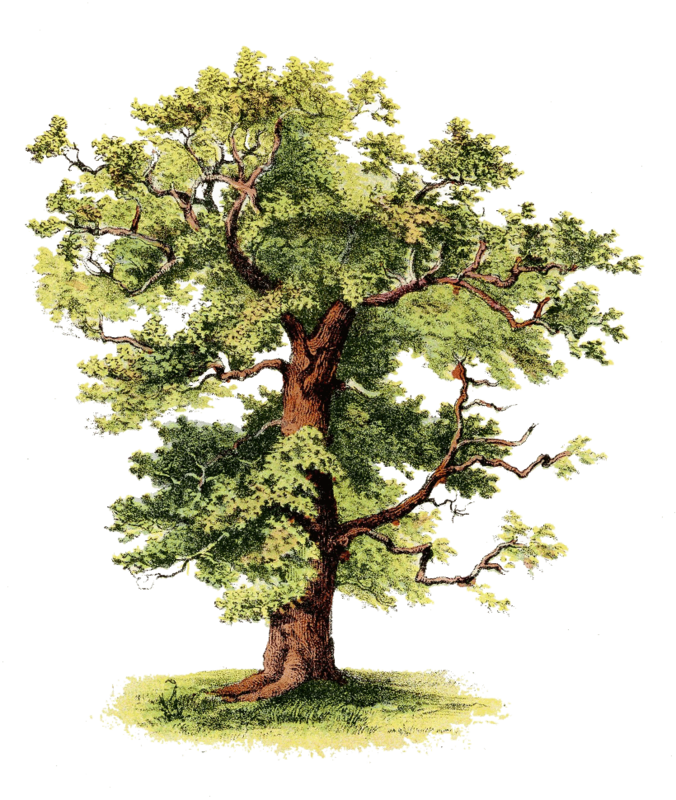 "Dr. Alexander Hamilton's ITNERARIUM is one of the happiest combinations of liveliness, wit, and instructive information written in colonial America. The description of his journey from Maryland to Maine and back in 1744 is unequalled by any other writer... Hamilton ran the gamut of colonial life; little that was interesting or significant escaped him. Although he describes provincial rural society, he bestows most of his attention on the urban centers--Philadelphia, New York, Newport, Boston. There an American culture was germinating... Gay, facetious, and affable, Hamilton enjoyed nothing on his travels so much as to foregather with a gentleman 's club about a convivial bowl where the conversation might begin with a discussion of war, trade or politics, progress to women, and then, as he readily admitted, end 'in a smutty strain.'... Because he was alert, fairminded, and tolerant, the doct or reviewed the colonial scene with an amused eye. 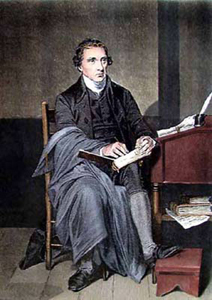 Inclined to a fashionable deism like so many of his class, he resented religious enthusiasm, and poured out his irony on the followers of George Whitefield, 'our New Light biggots,' whom he could infallibly detect by 'a particular down-hanging look. Creeds held no interest for him and as a result he indifferently confused Presbyterians and Congregationalists in his comments on the Great Awakening, then at its height in New England.. . Hamilton everywhere found life arresting and entertaining, and just as he generously shared his experience with contemporaries he also recorded it with sprightliness and humor for the enjoyment of posterity." (Originally in print at $22.50. Now OUT OF PRINT). Henretta, James A, Michael Kammen & Stanley N. Katz, editors.. 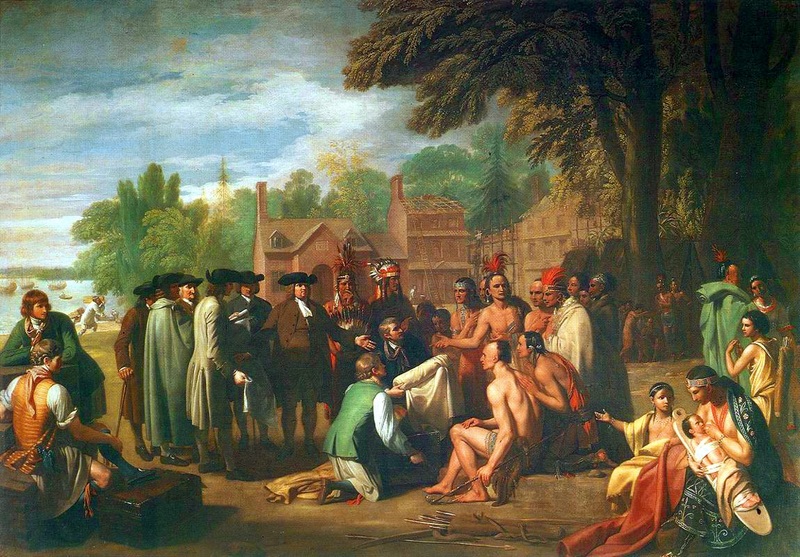 THE TRANSFORMATION OF EARLY AMERICAN HISTORY: SOCIETY, AUTHORITY AND IDEOLOGY. Knopf, 1991., NEW. Hardcover with DJ. A collection of essays about Bernard Bailyn's influence on the study of Colonial America. Extensive bibliography, notes, index, 340 pp. OUT OF PRINT. Hultzen, Claude H., Sr., HISTORIC OLD FORT NIAGARA: THE STORY OF AN ANCIENT GATEWAY TO THE WEST. 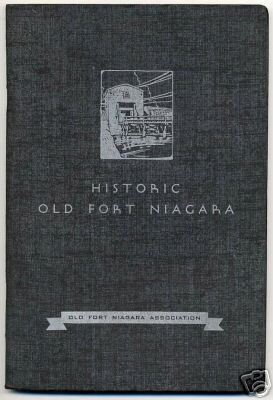 Old Fort Niagara Association, 1938., VG, heavy pictorial wraps. Staple binding. 6.25"x 9.25". Top of spine bumped (slightly breaking the Wrap around top staple), else Fine. Illustrations, 63 pp. Pristine map (20"x 17") in back pocket, as issued. The history of this principle frontier f ort, as well as descriptions of all (and pictures of some) buildings and other features. Nicely printed & bound.